Living in Richmond, Va., is always an adventure. Whether you’re enjoying one of the city’s outdoor festivals or municipal parks, relaxing for a delicious craft beer on a rooftop bar, or cheering on your favorite sports team, there’s something for everyone in Richmond. Explore our community, and see why we’re one of the top-rated mid-sized cities in the U.S. If you love watching sports, especially NCAA matches, living in Richmond will give you plenty of opportunities. From cycling championships to NASCAR racing, Richmond offers a variety of sports that will have you cheering year round. Baseball, Washington Redskins Training Camp, arena football, road races, extreme water sports, even ultimate air dogs mean there’s always sports action happening in RVA. Virginia Commonwealth University may be a small school but their NCAA men’s basketball team is mighty! We’ve reached the Final Four in 2011, and have a great winning record. With nine prior NCAA Tournament appearances, never had the Rams made it beyond the second round of the tournament. In 2011, the Rams’ journey to the Final Four began in one of the four opening-round games, the “play-in” games. Thus, VCU became the first team to advance from the “First Four” to the Final Four. The Richmond Flying Squirrels are part of the Eastern League and the Double-A affiliate of the San Francisco Giants major league club. Their home field is called The Diamond. European Football fans can enjoy watching the Richmond Kickers, an American professional soccer club based here. They play in the United Soccer League, the second tier of the American soccer league system. Founded in 1993, the Kickers are the second oldest continuously run the soccer club in the United States after the Charleston Battery. 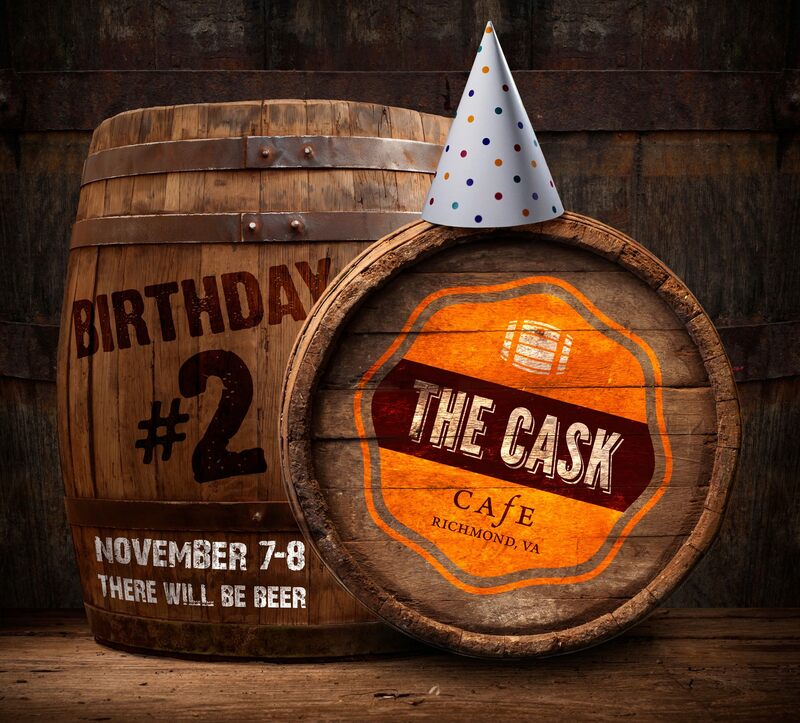 Castleburg Brewery and Taproom is a local favorite – and for good reason. As winners of both Gold and Bronze medals in the 2017 Virginia Brewers Cup contest, Castleburg’s master brewer, Karl Homburg, has come a long way from a hobbyist brew kit in his home kitchen. Along with wife Rhonda, he has created a welcoming, relaxed space to enjoy a pint and a host of different quaffs. Richmond has several other local hotspots to enjoy freshly crafted brews. The Veil Brewing Company features a focus on hop-forward beers, high gravity and barrel aging, lagers, wild ales, and spontaneous fermentation. Strangeways focuses on craft beer out of the ordinary, mixing different flavors and always surprising. A beer destination on the rise, Richmond’s lineup of 25-plus craft breweries are earning awards and fans across the country. Heavyweight Stone Brewing Co. opened a location in Richmond in 2016. Beer bars like the Mekong, The Answer, Saison and Cask Cafe keep local beer lovers happy. Unless you don’t enjoy amazing food, you will find that living in Richmond, Va., offers you more choices for local restaurants than most cities. Recently, the founder of Saveur Mag called Richmond the “next great American food city” and U.S. News & World Report stated in its Huffington Post Travel edition that Richmond is one of “8 Under-the-Radar Foodie Cities.” This honor isn’t just a list of Southern cities or mid-size cities or even American cities – it’s a list of foodie cities across the globe, including cities in Peru, Italy, and Australia – and only two American cities made the list. Rising foodie superstar Dutch & Company features local seasonal menu items like flounder with Carolina gold rice and short rib with polenta. Food & Wine Magazine nominated Dutch & Company’s chefs, Caleb Shriver and Phillip Perrow, as contenders for “The People’s Best New Chef” in 2017. Come visit the Roosevelt for inventive Southern fusion pairings like catfish with bean and bacon succotash and Nashville-style spicy fried pig head. The people in Richmond dining scene decided a few years ago to embrace the philosophy that a rising tide lifts all ships and have been working together to make their restaurants – and each other – better. Once a month, these same industry people come together for a “shindig” – a potluck held at a different restaurant during which Richmond restaurant people can chat, compare notes, and toss around ideas. Ultimately, the foodies and gourmands of Richmond win – when there’s a dining scene that is this fresh, the patrons always have a great experience. If you enjoy spending time outside, Richmond, with its warm springs, balmy winters, and beautiful summer weather – is the place to be. Local parks offer family-friendly entertainment and plenty of room for intramural sports leagues or just a pick-up game. 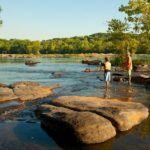 The Richmond region’s James River Park system provides everything from kayaking and rafting to lush lawns for picnicking. A farmers market takes over Forest Hill Park every Saturday morning. Hadad’s Lake is a throwback to midcentury adventure parks with rope swings and slides. Huguenot Park and Pocahontas State Park are perfect for calm walks and Pony Pasture is popular for its running trails and swimmable river. There’s plenty of local swimming areas, as well as athletic fields for intermural sports, youth leagues, and local school games. The Richmond parks and recreation department offers swimming classes as well as recreational leagues to join. Special programs for seniors are available with both regularly scheduled and special events. Enjoy after school or summer camp programs for the kids, as well as a renowned dance program. Many facilities are available to reserve for special events, such as family reunions and weddings. In 2016, Virginia State Parks celebrated their 80th birthday! Richmond National Battlefield Park and Maggie Walker National Historic Site are Richmond’s National Park treasures. The Canal Walk highlights two great things about Richmond: The unique blend of urban and outdoorsy and the mixture of the city’s past with its present. Stroll along the canal and enjoy the street art in the outdoor gallery along Richmond’s James River Power Plant Building and Floodwall, filled from top to bottom with murals. On the other side of the canal, you’ll see signs of the burgeoning foodie scene. The walk encompasses significant historical sites like millennia-old Indian trade routes, early Colonial settlements, the restored Tredegar Iron Works, and an early African-American church. Crossing the Belle Isle pedestrian bridge is itself an adventure. The hiking paths are relatively easy for kids, and the fresh flowers are in full bloom during spring. The new Belle Isle Bike Skills Course encourages families to make their way over to the Isle. Designed for the novice rider, it includes a pump track, rock gardens, rock drops, skinny logs, and rocks made with old granite curbstones. 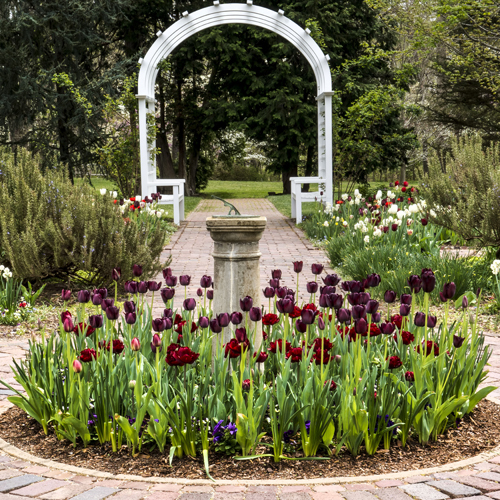 Lewis Ginter Botanical Garden is especially popular, open year round with rotating exhibits and special events. The bright Children’s Garden has everything for a family day outdoors. If you go in the summer, bring swimsuits for the kids – you can relax in the shaded Parent Rest Area while your little ones splash about on the sprinkler pad. For excitement and thrills, visit Kings Dominion Theme Park. Virginia’s premier amusement park includes breathtaking roller coasters and thrill rides and a diminutive kids center perfect to thrill the smallest ones. Traditional carnival rides, fun games, and delicious food make the all-day experience memorable. If you need to cool down, head over to the Soak City Water Park for slides, a floating river, and a small splash pad. Check out the Kings Dominion calendar of events for special holiday celebrations. Shopping in Richmond is a dream for any clothes horse. With small specialty boutiques downtown as well as interesting finds along the Canal Walk, you’re sure to score some unique threads. 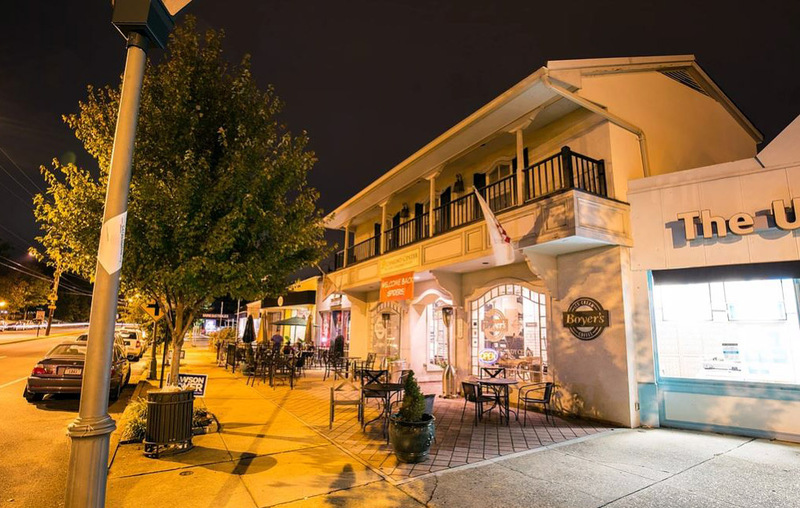 For all-day shopping fun, head over to the Short Pump Towne Center, with high-end department stores, specialty shops, and unique dining experiences. Take some time to relax and laugh at Funnybone comedy club & restaurant, or shop for home décor at Pottery Barn, Crate & Barrel, and West Elm. Macy’s, Nordstrom, and Dillards offer something for everyone. Pick up sporting goods at Dicks or a lovely charm bracelet at Pandora – one thing is certain – you’ll want to spend a lot of time here. Look for special events, like fashion shows and seasonal displays on their calendar. Carytown – Dubbed “Mile of Style,” this popular neighborhood around West Cary Street features nine blocks of specialty stores, including boutiques, cafés, bookstores, party shops, antiques, and art galleries, most of them unique to Richmond. Regency, located in Richmond’s West End, is one of the area’s premier malls. The sophisticated ambiance is created by sculptures, art and sitting areas throughout. Chesterfield Towne Center, a popular South-of-the-James River mall features 130 shops, services, and restaurants, in an atmosphere of palm trees and skylights. Shops of Libbie & Grove “On the Avenues” is a popular neighborhood that features more than 45 charming boutiques and gastropubs, where local owners provide personalized service and attention. Art walks, historic theaters, galleries, rooftops and sweeping stages (indoors and out) throughout the Richmond Region feature musical, visual and performing arts events. The Virginia Museum of Fine Arts offers special exhibitions of the notable pieces from around the world; local galleries regularly feature regional artists. Virginia Rep brings favorite plays and newer pieces to the stage year round. The RVA Street Art festival goes big with outdoor canvases, and RVA Makerfest is a hands-on celebration of the art of creation. The Richmond region plays host to local and national musical acts year round. See intimate acoustic performances at Ashland Coffee and Tea, classic rock and country favorites at Innsbrook After Hours and Pocahontas Live. Jazz and R&B greats take the stage at the Richmond Jazz Festival. Don’t miss Friday Cheers, an outdoor concert series held in the early summer on Brown’s Island. The Virginia Wine Expo is a national destination event celebrating Virginia’s extraordinary wines and the Richmond Region’s culinary excellence. Meet the owners and winemakers behind Virginia’s boutique wineries and enjoy dozens of events, including the legendary Walk-Around Grand Tastings. Mark your calendars and come join us each October for Artober – a month-long celebration of arts and culture in the Richmond Region. Hosted by the Virginia Museum of Fine Arts, this event showcases up and coming, as well as established local artists. The Virginia Museum of Fine Arts, together with the Virginia Historical Society, anchors the Museum District of Richmond. Established in 1936, the VMFA has long been an icon in town on in the art world, ranking as one of the top ten comprehensive art museums in the United States. If you enjoy al fresco dining with a side of sunset, head over to one of Richmond’s popular rooftop bars. Unique to the area, rooftop dining and lounges have exploded in popularity, and although they share a similar location, each destination is unique. 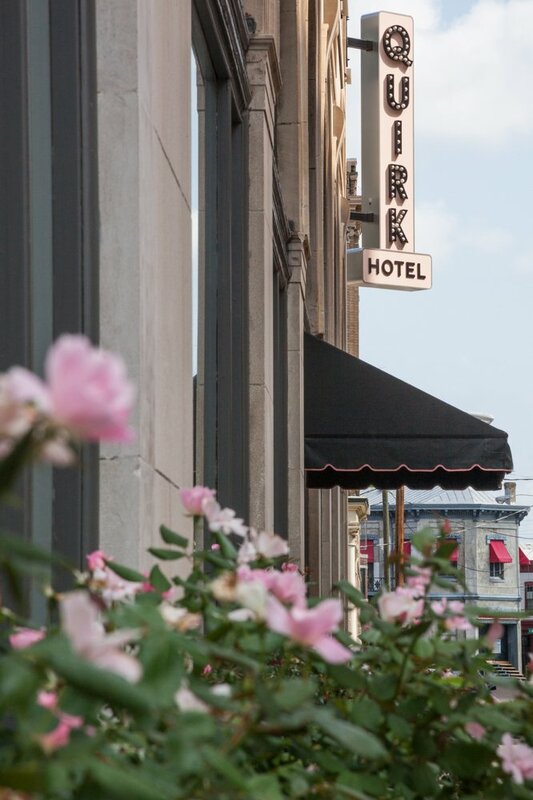 The huge two-tier rooftop space at Quirk Hotel is a recent addition to the rooftop scene. Guests can order from a special food menu that differs from the one found in the lobby restaurant, and the rooftop location also has a bar menu featuring unique cocktails, wines, and craft brews. Twenty stories over the Virginia Beach Boardwalk is the exclusive SkyBar. Membership is required to gain entry and the dress code is strictly enforced. Good southern comfort food is what’s on hand at Supper. Enjoy it on the roof overlooking the neighborhood of Ghent. The former Iron Bridge Wine Company, The New Bridge, may have changed names, but diners can still expect excellent food, attentive service, and perfect wine and craft beer pairings with their meal. In old town Warrenton, the restaurant is elegant without being pretentious, and you’ll spot some ingredients growing right beside you on the building’s rooftop. The chef uses the herbs, greens, and edible flowers seasonally to infuse fresh flavors into the small plates menu. New to the Richmond restaurant scene, Kabana’s decor has a Miami vibe, with white tables, large lounge couches, and glass railings that come together to create a modern yet ambiance. The Asian fusion menu has several different takes on Ramen, seafood options like the Grilled Octopus or Swordfish, and more basic (yet delicious) fare like the Wagyu Strip Loin. Reservations are a must for this busy hotspot. Richmond is located at the fall line of the James River and 98 miles south of Washington, D.C. 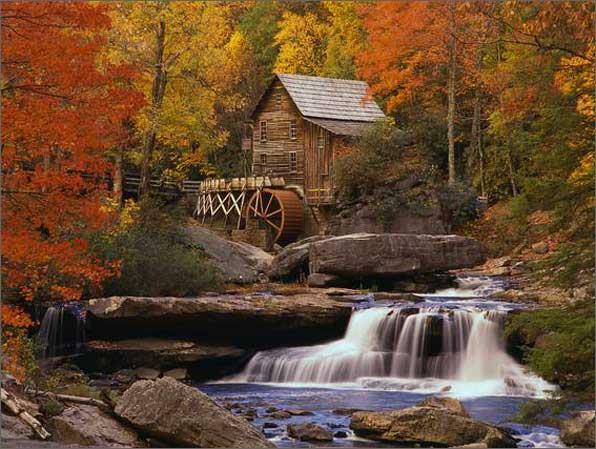 The city is nestled in the Piedmont region of Virginia, characterized by low, rolling hills. It lies between the low, flat Tidewater region and the Blue Ridge Mountains. Significant bodies of water in the region include the James River, the Appomattox River, and the Chickahominy River. Richmond weather is sub-tropical, with hot and humid summers and generally cool to mild winters. The mountains to the west act as a partial barrier to outbreaks of cold, continental air in winter; The open waters of the Chesapeake Bay and the Atlantic Ocean contribute to the humid summers and mild winters. The James River reaches tidewater at Richmond where flooding may occur in every month of the year. Hurricanes and tropical storms have been responsible for most of the flooding during the summer and early fall months. Damaging storms occur mainly from snow and freezing rain in winter and from hurricanes, tornadoes, and severe thunderstorms in other seasons. Richmond’s strategic location on the James River, built on undulating hills at the rocky fall line separating the Piedmont and Tidewater regions of Virginia, is a natural nexus for commerce. Richmond’s economy is primarily based in the government and financial sectors, as many notable banking firms and government agencies are based downtown. Dominion Resources and WestRock, both Fortune 500 companies, base their headquarters in Richmond. Since the 1960s Richmond has been a notable location for advertising agencies and supporting industries. One of the most notable Richmond-based agencies is The Martin Agency. Partly due to this, Virginia Commonwealth University developed one of the top-ranked advertising programs in the country. Richmond is home to the booming Virginia BioTechnology Research Park, an incubator facility for several prominent biotech and pharmaceutical companies.The complex features research, laboratory, and office space for various companies, research institutes, government laboratories, and non-profit organizations. The geographical site of Richmond had been an important village of the native American Powhatan Confederacy and was briefly settled by English colonists from Jamestown in 1609. Present-day Richmond was founded in 1737, and briefly became the capital of the Colony and Dominion of Virginia in 1780. During the Revolutionary War period, Patrick Henry’s infamous “Give me liberty or give me death” speech in 1775 occurred at St. John’s Church. In addition, the Virginia Statute for Religious Freedom was drafted by Thomas Jefferson. During the American Civil War, Richmond served as the second capital of the Confederate States of America. A decade after the Civil War hostilities ceased, Richmond resumed its position as an economic cornerstone, building a manufacturing center of iron front buildings and massive brick factories. Canal traffic peaked in the 1860s and slowly gave way to railroads, turning Richmond into a major railroad hub. At the turn of the 20th century, Richmond pioneered public transit with one of the world’s first successful electric streetcar systems. Between 1963 and 1965, there was a “downtown boom” leading to the construction of over 700 new buildings. In 1968, Virginia Commonwealth University emerged after the merger of the Medical College of Virginia and the Richmond Professional Institute. Richmond is home to numerous battlefields commemorating the American Civil War. Near the riverfront is the Richmond National Battlefield Park Visitors Center and the American Civil War Center at Historic Tredegar, in the former buildings of the Tredegar Iron Works. This factory produced much of the ordnance for the war. In Court End is the Museum of the Confederacy, along with the Davis Mansion. The temporary home of former General Robert E. Lee still stands on Franklin Street in downtown Richmond. The history of slavery and emancipation are also increasingly represented; Richmond features a former slave trail along the river, developed with interpretive signage. Finally, in 2007, the Reconciliation Statue was placed at Shockoe Bottom, as a memorial to the Triangle Trade. 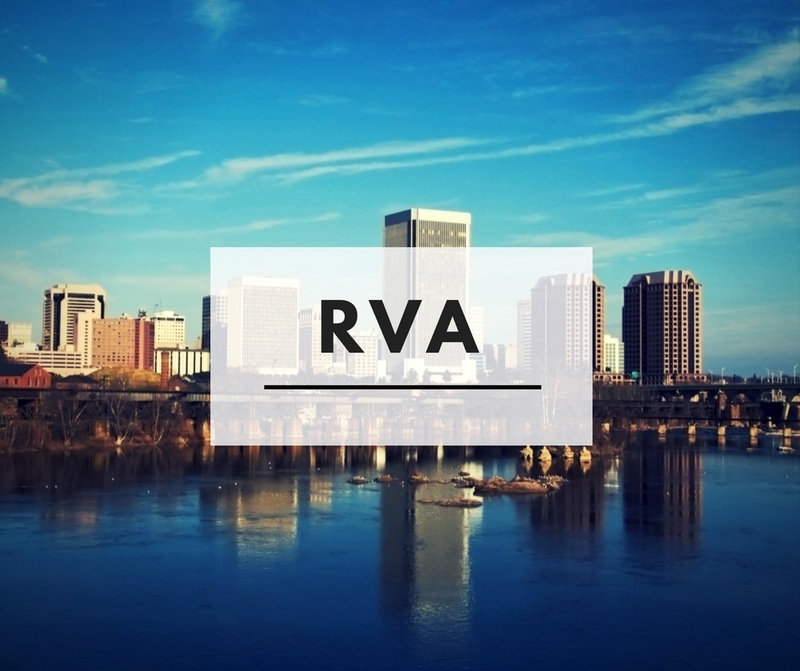 Living In Richmond, Va., you will find many major institutions of higher education, including Virginia Commonwealth University, University of Richmond, Virginia Union University, Virginia College, and the Baptist Theological Seminary in Richmond. Richmond also boasts many community colleges scattered throughout the metro area. Most notably, these are J. Sargeant Reynolds Community College and John Tyler Community College, located mainly in Chesterfield County. For those pursuing trade school, several different technical colleges call Richmond home, including the noted ITT Technical Institute, the ECPI College of Technology, and the relatively new Centura College. Other institutions of higher learning nearby include Virginia State University, located about 20 miles south of Richmond in Ettrick. Randolph-Macon College is located about 15 miles to the north of Richmond, in the small town of Ashland. The city of Richmond operates 28 elementary schools, nine middle schools, and eight high schools, serving a total student population of approximately 24,000 students. There is only one Governor’s School in the city. Richmond’s public school district also facilitates the operation of one of Virginia’s four public charter schools, namely the Patrick Henry School of Science and Arts founded in 2010. There are currently 36 private schools, both religious and non-affiliated, educating kindergarten through twelfth grade. Richmond is host to a number of different outdoor and indoor festivals, concerts, and exhibitions. The diverse cultural scene has developed showcases many different interests and hobbies. Whether you want to wind down with some smooth jazz or a glass of your favorite vino or take the edge off summer with a cold brew and some catchy bluegrass, Virginia has a summer festival with your name on it. The annual RVA Street Art Festival, a street art festival of muralists and other artists, has taken place since 2013. Full of locally known artists, as well as an opportunity for up-and-coming artists to show their stuff, this is an event not to be missed. Black Dog Music Festival Rhythm & Vine Sip your way around 9 of Virginia’s wineries while listening to the Americana/Bluegrass blend of The Green Cards on Chateau Morrisette’s Festival Stage. AT&T Summer Brewfest This is the ultimate beer lover’s happy hour with a wide variety of offerings from local, regional, national and international brewers. Add live music, the scenic Norfolk downtown waterfront in Town Point Park and free admission. Beer tasting is a little extra, though. Virginia Lake Festival is one of top 20 events in the Southeast. It attracts more than 100,000 visitors each year, featuring hot air balloon and helicopter rides, a winnable arts and crafts show, amateur and professional sand sculptors, local food vendors, and an exciting fireworks finale on Buggs Island Lake. Pork, Peanut, & Pine Festival Hop on the ferry to Surry to “pork out” at the annual ode to pigs and peanuts. Held at Chippokes Plantation State Park, one of America’s oldest continually farmed plantations, this festival is a down-home celebration of Virginia’s finest snack food along with the ham, bacon, and barbeque that made Surry famous. Old-fashioned tractor pulls and a BBQ Cook-Off, live music, and more than 100 craft vendors round out the weekend. Virginia Highlands Festival 65th Anniversary was founded in 1948 by Barter Theater (located in Abingdon, Virginia) Robert Porterfield to showcase the arts and crafts of the Appalachian Region. Despite its long run, the Virginia Highlands Festival is still one of the top-attended art events in the state. In addition to the judged arts and crafts show, theHighlands Festival features historical re-enactments, home and garden tours, an antique market, guided nature hikes and a slew of workshops in everything from photography to creative writing. For everything from prenatal care to end of life hospice, the medical facilities in the greater Richmond area have some of the best facilities in the nation. With research medical centers and leading-edge technology with comforting bedside manners, you and your loved ones will be in god hands for all your health needs. The VCU Medical Center is rated number 1 in the Richmond area and is nationally ranked in 2 adult specialties and 1 pediatric specialty. Bon Secours Memorial Regional Medical Center is number 2 in Richmond but is not nationally ranked in any specialty. Children’s Hospital at VCU-Brook Road Campus specializes in pediatric care and surgery. Chippenham Hospital in Richmond, VA is not nationally ranked in any specialty. Whatever your medical needs – from broken bones to a flu shot, you’ll find an expert specialist at one of Richmond’s many medical parks. Living in Richmond, Virginia, is always an adventure. Whether you're enjoying one of the city's outdoor festivals or municipal parks, relaxing for a delicious craft beer on a rooftop bar, or cheering on your favorite sports team, there's something for everyone in Richmond. Explore our community, and see why we're one of the top-rated mid-sized cities in the U.S.